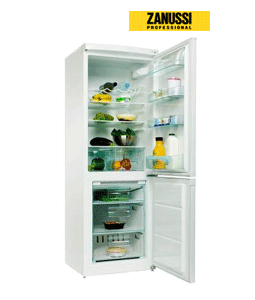 Below are our selection of popular Zanussi Fridge Freezer appliances. In the 1980’s Zanussi joined the Electrolux family and continued to come up with products that made your day that much easier. Never one to rest on its last innovative product, Zanussi are hard at work to bring you new ways to improve your lifestyle, so you can get on with the important things in life. Zanussi fridge freezers are often the first choice for those looking for reliability, quality and great value. Feel free to browse the Zanussi fridge freezer selection below and find the perfect Zanussi for you.